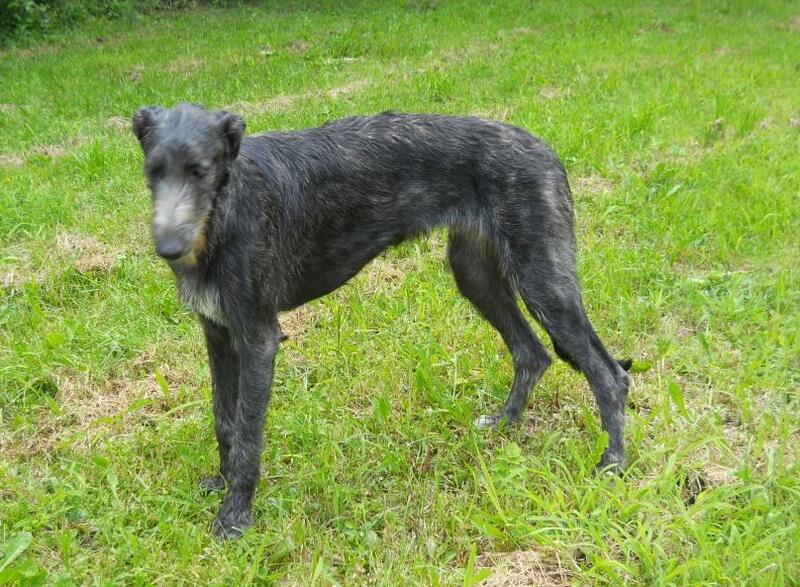 CKC, CFC, UKC Ch. 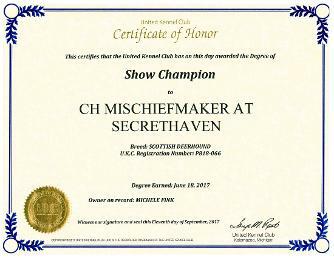 Mischief Maker at SecretHaven-"Mischief"
Ribbons awarded from the UKC Premier 2017. 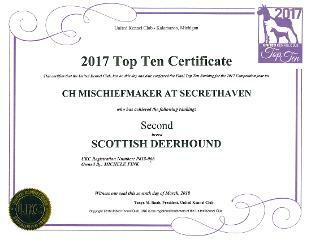 Mischief Maker at Secret Haven 34 months is now CKC, UKC & CFC Champion. 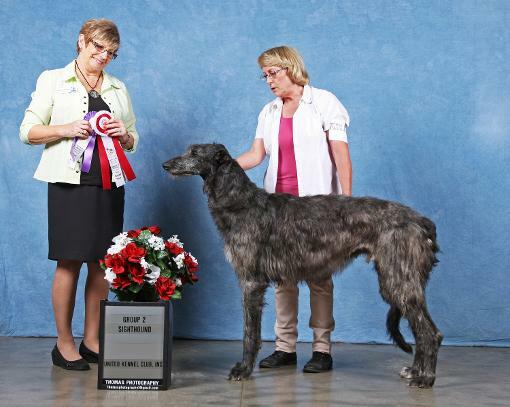 He was awarded Winners Dog by both Barbara Arndt & Ole Nielsen. 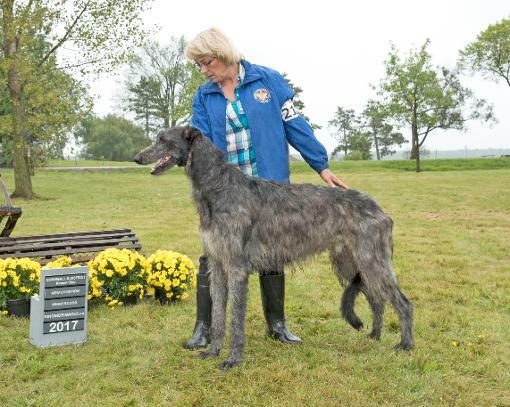 At the 2017 UKC Premier, Mischief was awarded Group 2nd under judge Marilyn O'Neill, Best of Breed under judge Laura Patton and BoO & Winner's Dog under Judge Melissa B Kidd. 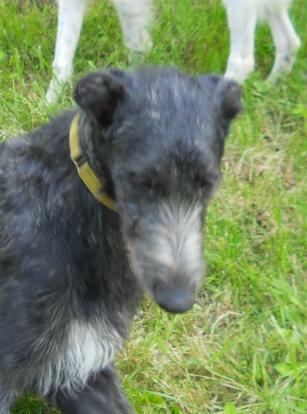 We now have a new UKC Champion! 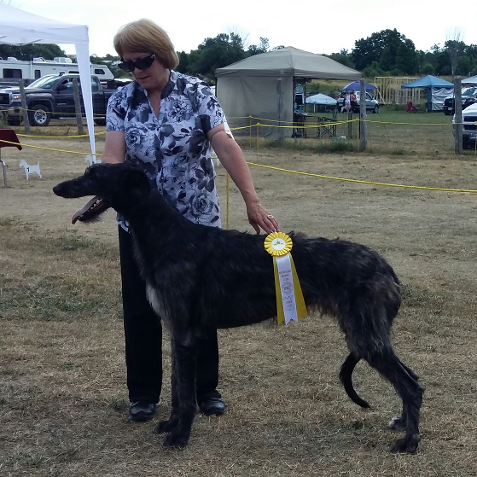 Another terrific weekend at the Pine Ridge Kennel Club show in Port Hope. 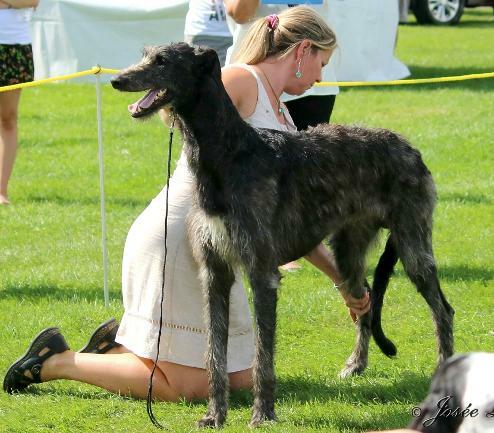 Mischief takes Best of Breed at both shows under judges Thora Brown and Allan Brown on October 1, 2016. 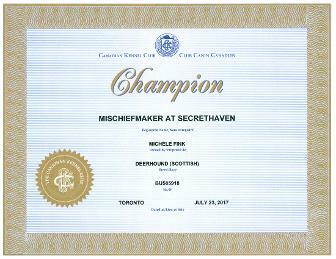 Well SecretHaven is pleased to announce a new International Champion among its pack. 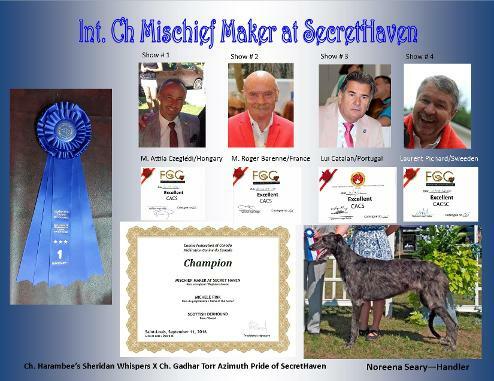 Mischief Maker at SecretHaven was undefeated in the sighthound group at the Canine Federation of Canada shows. 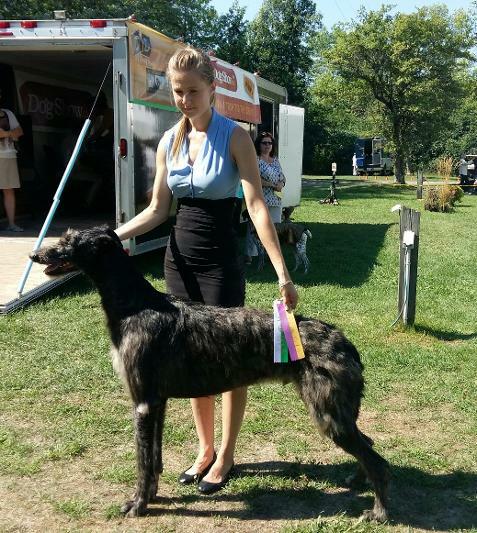 A panel of European judges were invited to judge at four shows during the weekend of September 10-11, 2016, in St-Louis, Québec, namely: M.A. 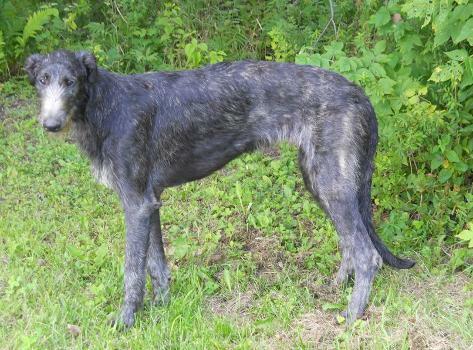 Czeglédi of Hongary; M.R. Barenne of France; Lui Catalan of Portugal; and Laurent Pichard of Sweeden. 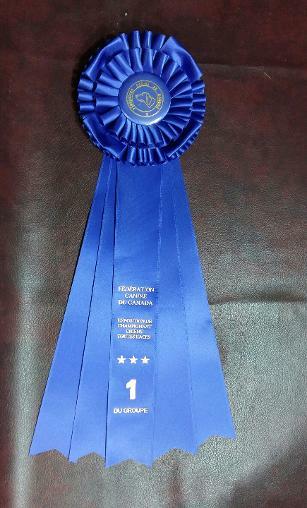 All four judges gave Mischief CACS Excellent and group 1. 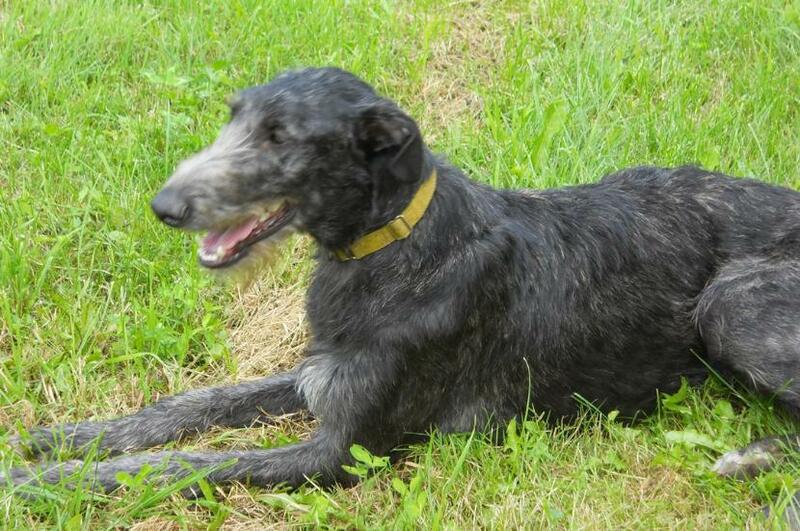 Noreena Seery did a terrific job handling this promissing young Scottish Deerhound! 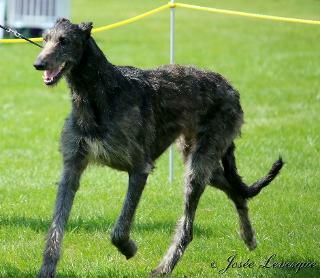 Mischief, won Best of Breed under judge Judi Byrne for two points on September 3, 2016 at the Cornall show in Ingleside with Noreena Seery as his handler. Dean Dennis of RingSideImages.ca is the photographer. 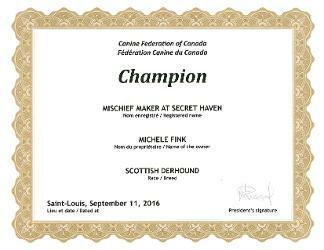 Mischief Maker wins Winners dog and Best of winners for two points under judge Anne Kantonah at the SD&G show August 27, 2016. 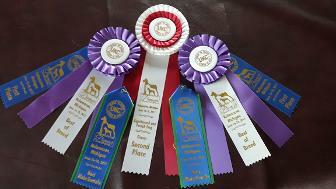 Thanks to Savannah Vince for her expert handling! 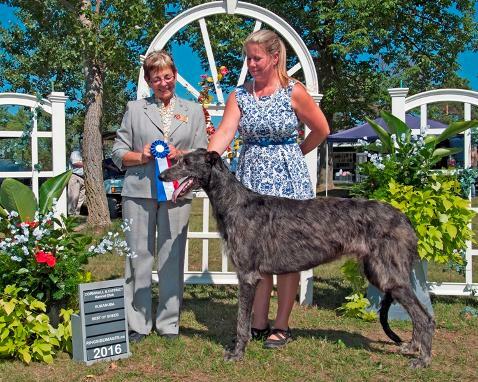 Mischief wins breed then goes on to win a group fourth at the UKC show in Elginburg, ON on July 17, 2016, under judge Debra Florek. 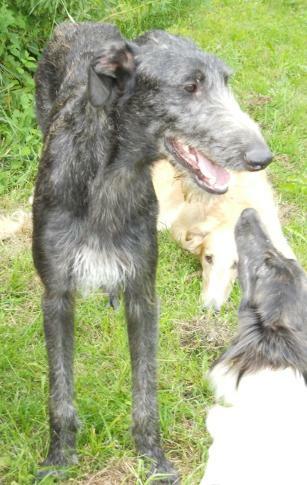 Here are a few candid shots of Mischief at 10 months old.